Time for a cup of cheer? Or a last a timely shot of it! 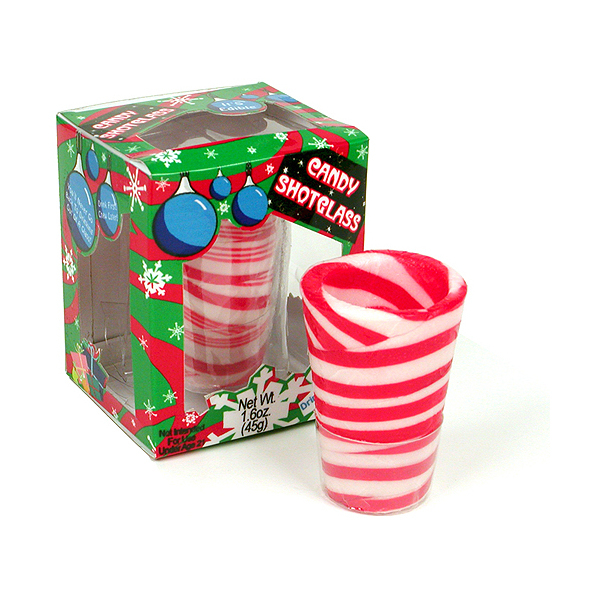 Edible candy cane-esqe shot glasses, just in time for the holidays! How fantastic is that? I know that a little peppermint vodka, or schnapps or just plain whiskey would probably make the holiday cheer brighter at times. The good part about these as opposed to the ICE shot glasses, or jello shot glasses are that I’m pretty sure candy would hold up better than jello or ice to more than a single shot. Time to get my Kringle on!